Could this be a bison hoof??? Found in the Peace River. Broadest part measures 3 1/2". Found some other large pieces but also found a lot of LARGE (Big Boy) turtle pieces. Will post in another post. Thanks. SO GLAD to be back in the river. Cold but definitely doable in swimsuit - and I am a Floridian that walks around with a jacket at 70 degrees! I am not an expert but i agree it could be a bovid or maybe a hippus hoof. Definitely not bison or any other type of bovid. The hoof is symmetrical so it can't be an eventoed ungulate. that of a bison would look like half of this as those animals have 2 toes. As the Al Dente said, it looks like horse. Agree with Mr. Dente. It looks to be more equine than bovine. The horse has a one piece core were as the bovine will have a clefed foot (two piece). Oops! Olaf and I posted at the same time, so you got roughly the same answers. 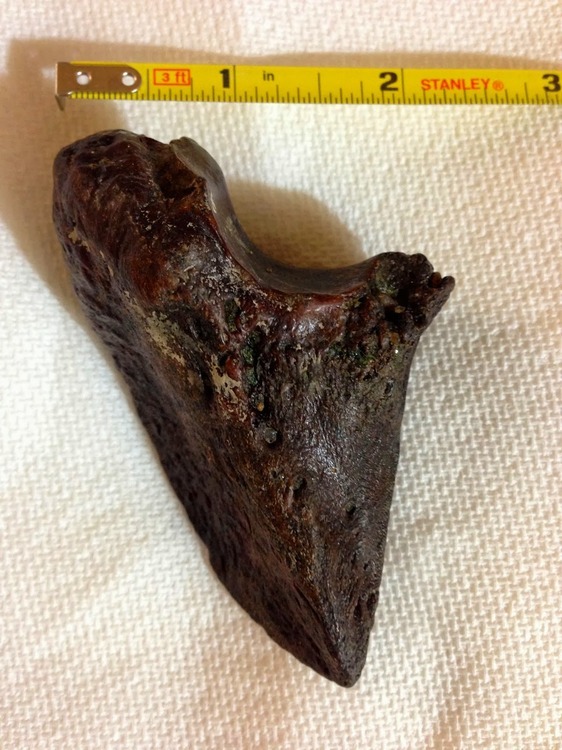 Agree with the above identifications that this is a hoof core from an odd-toed ungulate (Perissodactyla) rather than from an even-toed ungulate (Artiodactyla). The former containing horses, rhinos and tapirs and the latter containing camels, peccaries and deer (among many other species). I don't think I've ever seen a complete horse hoof core come out of the Peace. Having said that, @Harry Pristis will now probably post a gallery of cores from his fantastic collection. A find like that would top a Peace River meg tooth any day and would be a top-notch trip-maker find if it came up in my sifting screen. I've got a small window of time before I start a possibly busy travel season over the next several months (in peak Florida fossil hunting season), I need to make plans to get back out and go stand in a river again. 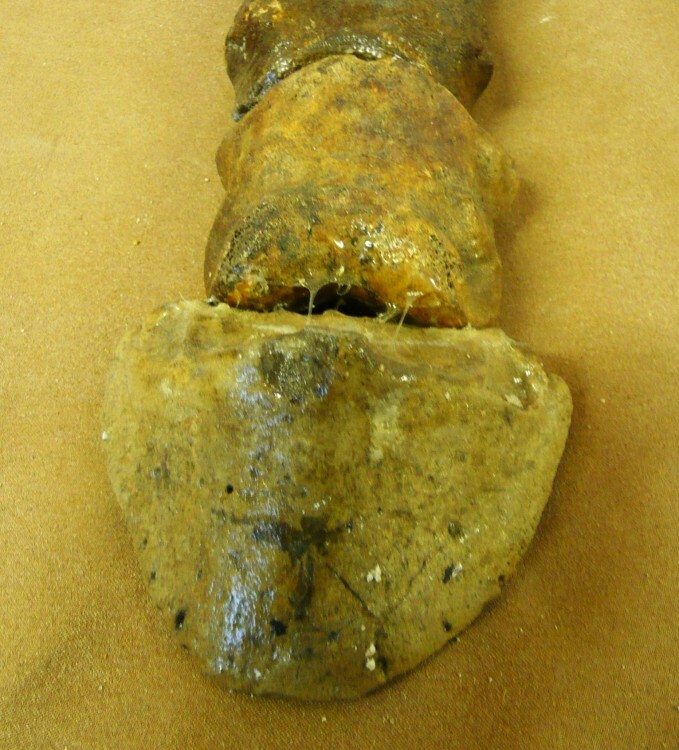 It is an ungual bone of a horse. 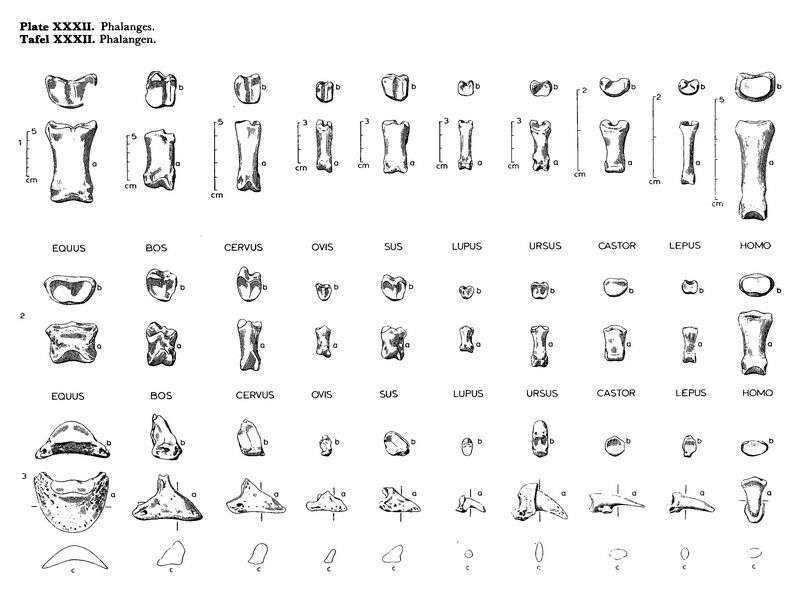 excerpt from Atlas of Animal Bones. For Prehistorians, Archaeologists and Quaternary Geologists - Elisabeth Schmid; Elsevier, New York, 1972.